Golf Balls Galore is proud of our grading system and the value we deliver with each grade. Our technicians have many years of experience and their golf ball grading is unmatched in the industry. As with most items you purchase - if the price seems too good to be true you will probably not be happy with the product! We could lower our price, but we would have to lower our standards and we will not jeopardize your satisfaction with our product. 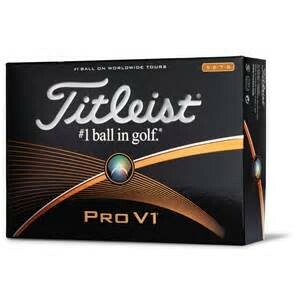 What you get with Golf Balls Galore is the very best quality for the price. Our Top quality recycled golf balls are the best available grade and are the choice for many golfers regardless of skill level. Balls are like new, it's hard to believe they are used! Please note that this grade can have some small user marks (markings players place on their ball for identification). This grade is shiny and will play like new. It is hard to tell the difference between our Top-Quality (TQ) and Player's Grade (PG) balls, however our Players Grade can have larger user marks. Many of these balls would be in the same class as our Top-Quality grade if the user marks were smaller. You may see the smallest of imperfections on some of the balls, but please note you have to look for them and they do not hinder the performance of the balls. This grade is shiny and will play like new. We call these Top-Quality Players Grade. Price reflects at least 50% off of discounted new golf ball. Most Online prices are showing a 10% discount , with the exception of Used Range balls, New Range balls, and New Corporate Custom Logo Balls. Our Value Grade Balls have small to moderate surface blemishes and minor to moderate ink marks. None of the surface marks or blemishes should affect the performance of the ball. Many of these balls just missed being a #1 or #2 grade, for they have a very slight two toning of the shade of white. Very playable, good condition golf balls. This is a great value ball, and is great for those golfers who lose more balls than they would like to admit, but still want to play a good looking ball. This grade is shiny and will play like new. Our #4 grade is the only grade that has any x-outs or store-line (SL) balls in them. The x-outs and SL balls could be anywhere to new looking down to being a dull ball and can have scuffs. You will find all kinds of balls in this grade. We sell them $19.99 for a 100 ball bag in our Store in Naples, FL. Website price is $14.40 for 72 balls and $8.99 for shipping. The balls will be a mix of all sorts. The golf balls are very playable. This is our lowest grade we consider to be a playable ball, and is perfect for occasional or beginner golfers. This Grade has a mix of shiny and dull balls. Many golf balls that are lost and found have logo's on them. We do not consider a logo from a Country Club or from a Corporation to have any effect on the playability of a golf ball, and therefore we do not down grade any ball that has a logo on it. For this reason, you may find logo golf balls in any of our grades. We do our best to not over load any bag of balls with too many logo balls unless the customer requests logos. Premium Balls (Sell for around $30.00 a dozen New) 3-grades: Top-Quality / Players / Value Packs. High Price Balls ( Sell for around $20.00 a dozen New) 2-grades: Top-Quality Mix / Value Packs. Medium Price Balls ( Sell for around $12.00 a dozen New) 2-grades: Top-Quality Mix / Value Packs. Low Price Balls ( Sell for around $9.50 a dozen New) 2-grades: Top-Quality Mix / Value Packs.